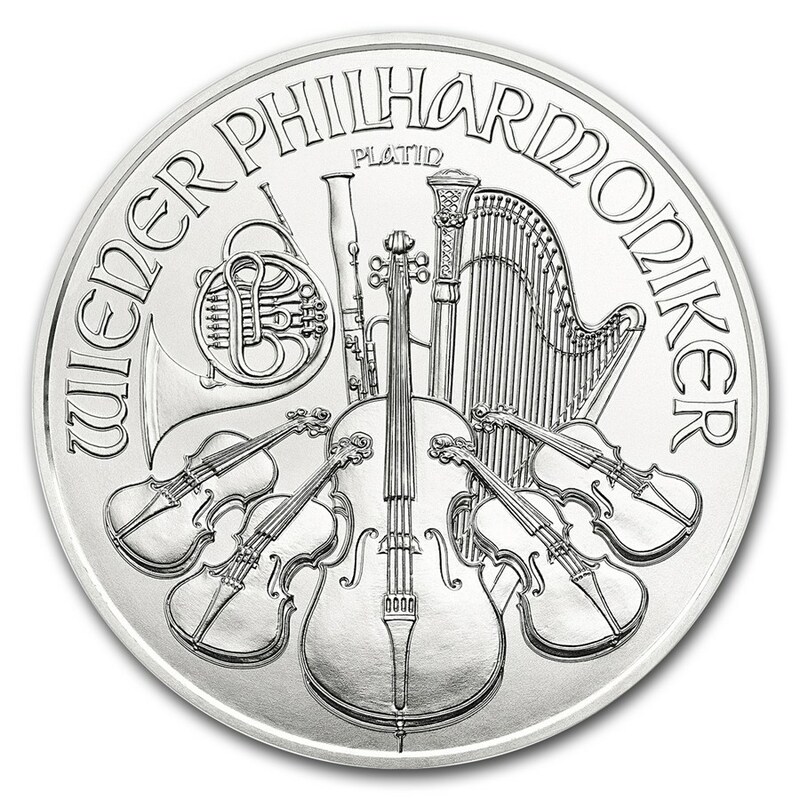 The Austrian Philharmonic coins are one of the most desired and most popular coins in the world. Although these coins contain decades of history and are recognizable anywhere, their platinum version only arrived on the market in 2016. Minted by the Austrian Mint in Vienna, this coin features the same irreplaceable design as on their gold and silver sisters. 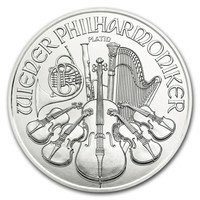 The obverse of the Platinum Philharmonic coin features the Great Pipe Organ in Vienna's Golden Hall, which is home to the great Vienna Philharmonic orchestra. The year, along with the weight, and .9995 platinum purity is also featured on the obverse side. On the reverse, however, we have a beautiful display of the instruments from this world-famous orchestra. Instruments such as a cello, harp and a violin elegantly feature on this coin. Purchasing platinum is an excellent way to diversify and to increase the value of your precious metals portfolio. Platinum is an excellent choice for a first investment. It is easy to buy, and it is cheaper than many other precious metals, making it a great investment for those on a more modest budget.